The discovery of valuable ores and other resources has led to the founding of a new colony, hidden away in an untouched corner of a steam-powered world. It won’t stay untouched for long, however; prospectors from all over are boarding their airships and then risking a trip across the Boiling Sea to stake their claim. Can you outbid and outbuy your rivals to acquire the most wealth? In Planet Steam we explore the world of economic warfare in a world where the industrial revolution ran rampant. It is a highly complex game with many moving pieces and lots of things to keep track of, but it greatly rewards you for the effort. First, the rules. The object of the game is, at the end, to have more assets than your opponents. Assets are described as cash, resources, tanks, resource converters, and luxury items. The game is played over a few turns, determined by the number of players and each game turn is broken up into several phases. Phase one is Expansion, in this phase players will go to auction for their characters for the turn (each character provides unique bonuses), another auction for board spaces and have the opportunity to acquire board spaces. In the Tank phase, players buy and reorganize their tanks, including any resource converters. This phase also allows for upgrading of your resource carrying capacity. It is the ‘main phase’ of the game. Resource phase simply extracts resources from tanks and have the opportunity to buy spare resources from the board, as there is an available market. However, players must be careful as the market in game mimics a real-life market with a supply and demand feature that is very intricate and fun to play with. The end phase simply resets the board for the next turn. 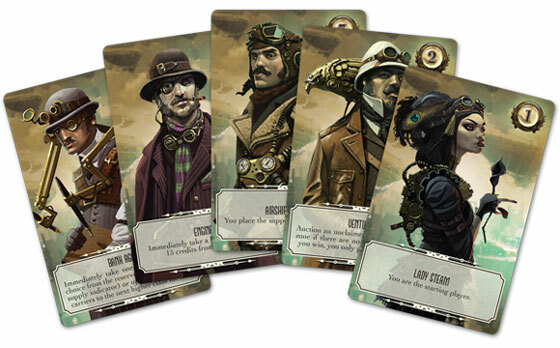 The art for the game is standard Steampunk fare. It is well made and detailed enough that it doesn’t detract from the experience. One thing I do really like are the pieces. There are lots of little pieces to play with and interact with, it’s very satisfying from a tactile perspective. I really like this game, to the tune of it being probably my favorite. However, I REALLY like managing Excel Spreadsheets. This game is very complex, even for a Fantasy Flight game. 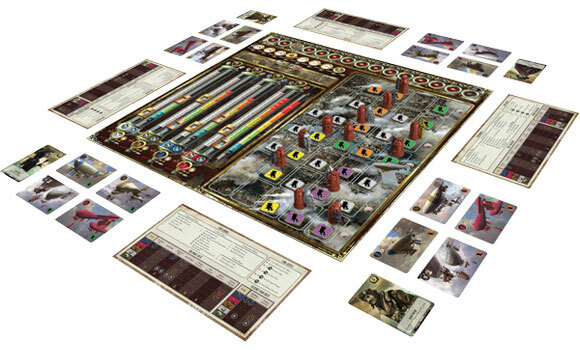 There are intricacies in dealing with the other players through the auctions and board placement, and in dealing with the in-game economy to get ahead. You always have something to manage and you have to stay on top of it in order to really succeed. This makes the game a little unwieldy for those who favor a more straightforward game. However, the game is incredibly rewarding if you succeed in managing all the pieces and even if you don’t win, you will have fun figuring it all out. If you prefer games that allow for a moderate amount of player interaction and also have a lot of interesting mechanics, I would highly recommend Planet Steam to you. 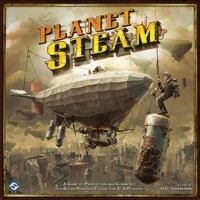 Add a Review for "Planet Steam"